As part of their Summer 2017 tour, Cirque Us stopped in Philadelphia for four performances. New England-based circus troop Cirque Us recently stopped in Philadelphia for two days of performances on their Summer 2017 East Coast tour. 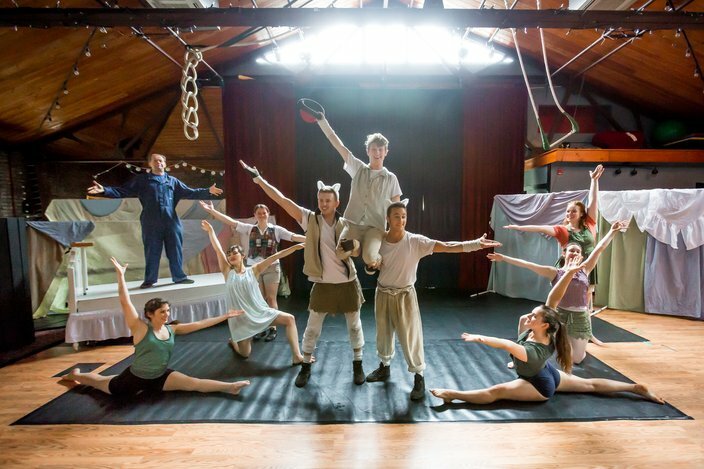 In their latest show entitled, "DreamCycle," the performers, ranging in age from 19 to 23, transported audiences through time into a dream-like state while breaking down the boundaries of traditional circus. 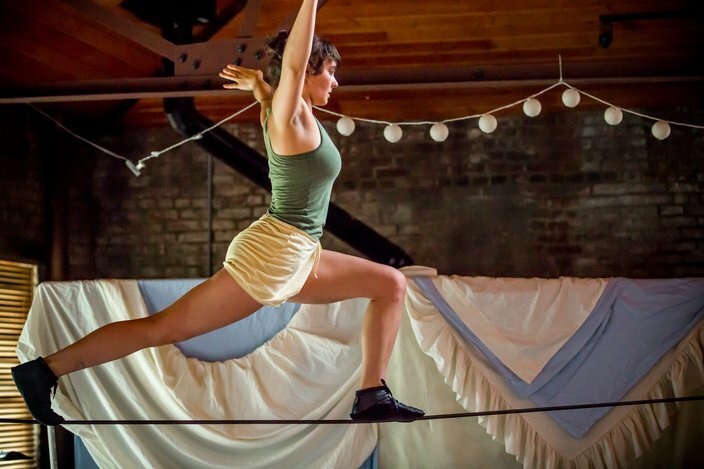 The show consists of performances on the trapeze, aerial straps, lyra, and tight rope, while jugglers, dancers, and hand balancers made creative use of the floor space. This 3-dimensional performance is in Philadelphia on July 12 and July 13 at the Funicular Station, a performance space in Philadelphia’s Germantown neighborhood. Here are 10 photos from the July 12 performance. 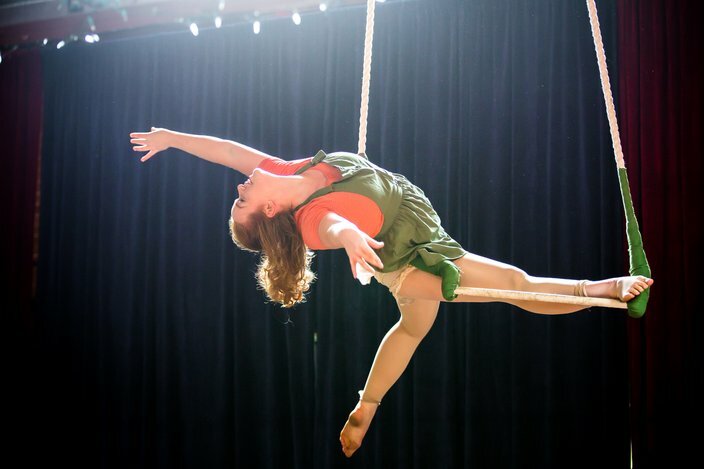 Cirque Us performer Sarah Tiffin of Oakland, CA, swings on a trapeze, Wed. July 12, while on tour in Philadelphia. Acrobats with Cirque Us execute various forms of handstands and backbends during a performance of 'DreamCycle' while passing through Philadelphia on their summer 2017 tour. DreamCycle attempts to reimagine the traditional themes of circus while sending the audience on a journey through the world of dreams. 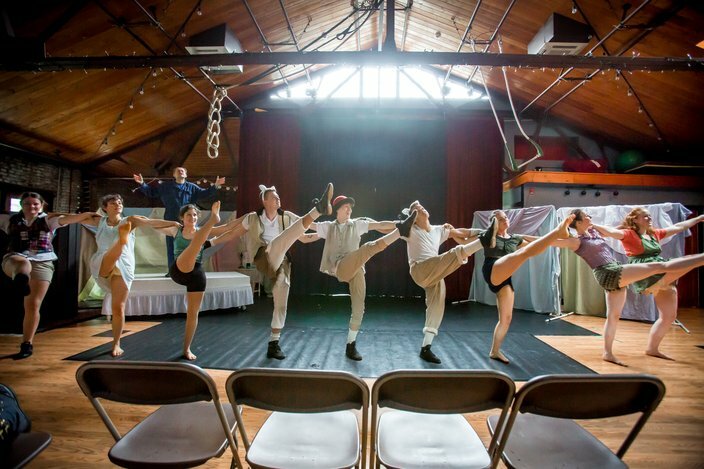 'DreamCycle' was held at the Funicular Station, a performance and practice space for aerialists, dancers, jugglers, and circus performers, located in Germantown. 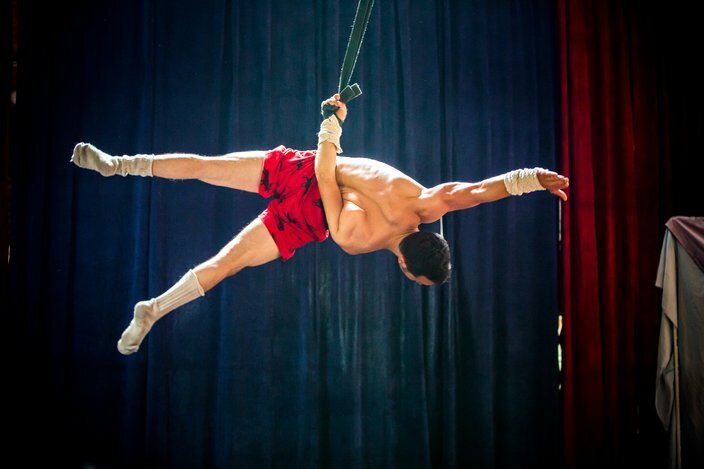 Sam Ferlo hangs from an aerial strap in his underwear during a performance of 'DreamCycle' by the circus troop, Cirque Us. Clockwise from left to right, Ripley Burns, Sorrell Nelson, Zoonii Kayler, and Sonya Gurwitt, perform on Wed. July 12, 2017. One of many aerial acts in the show was performed by Sonya Gurwitt on a lyra. 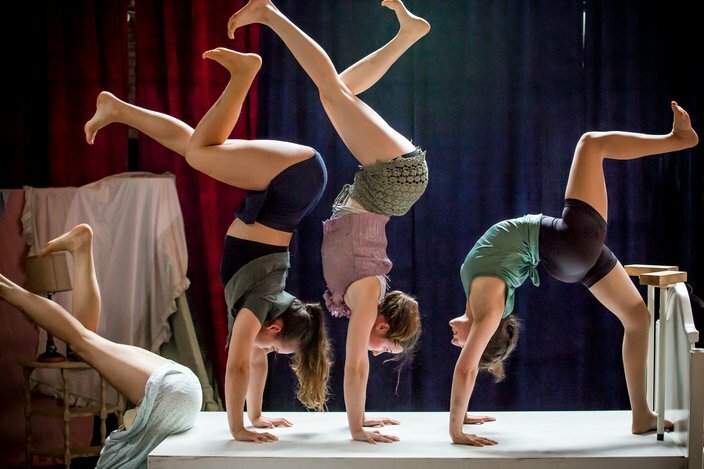 The New England-based Cirque Us consists of 10 performers that come from all over the United States.